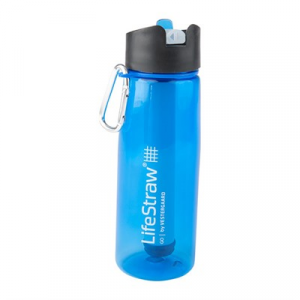 LifeStraw Go Filter Bottle with 2-Stage Filtration - 22 fl.oz. The 22 fl. oz. 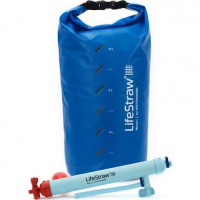 LifeStraw Go Filter Bottle with 2-stage filtration has a built-in hollow-fiber membrane and activated carbon straw / filter so you can have clean, and clean-tasting, water on the go. 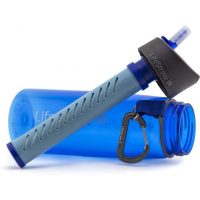 Reduce bad tastes, chlorine and organic chemical matter in your LifeStraw Steel water filter and LifeStraw Go filter bottle (both sold separately) with the LifeStraw Go replacement charcoal capsule. 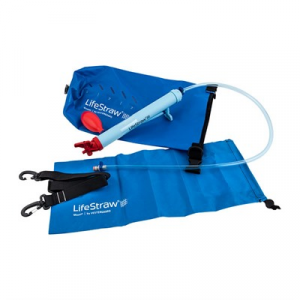 Enjoy clean, taste-free water everywhere you wander when you keep your LifeStraw Go Filter bottle (sold separately) in top working order with the LifeStraw Go replacement filter. 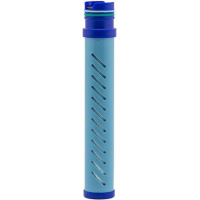 Ideal for camping, group hikes and expeditions, the Mission Purifier makes it easy to enjoy clean, purified drinking water. Simply fill the BPA-free bag, hang it up and let gravity do the work. 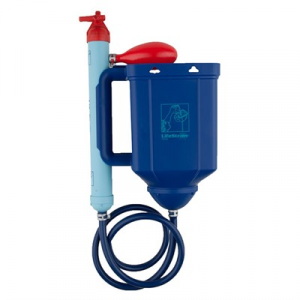 The LifeStraw Mission High Volume Water Purifier is a gravity powered water purifier that uses an advanced ultrafiltration membrane with a 0.02 micron pore size removing virtually all virus bacteria and protozoa. Send your kids off to adventure, confident they'll have safe, clean water to drink. 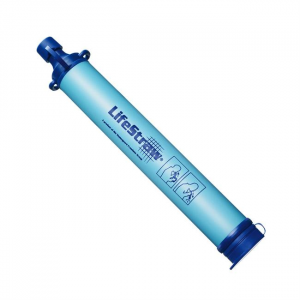 The sturdy, leakproof LifeStraw Play water filter bottle's 2-stage filter kills bacteria, parasites and chemicals. 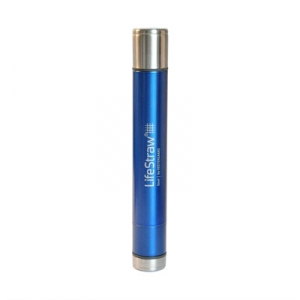 The LifeStraw Steel personal water filter builds upon the ingenuity intrinsic to the original LifeStraw personal water filter with a durable, sleek steel exterior and 2-stage water filtration process. 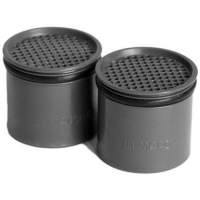 It is ideal for hiking, backpacking, camping and travel.